How to find a freight forwarder in China? China is the biggest exporting country in the world. Chinese exports of goods and services have reached 2,210,00 billion USD volume in year 2013. This is more than European Union's total exports volume in year 2012 which is 2,173,00 billion USD. What I am trying to explain you is that Chinese companies are doing serious amount of international trade with their partners throughout the world and one day you may need to find a reliable Chinese freight forwarder as an importer. On this page I will show you how to find a good and reliable Chinese freight forwarder. 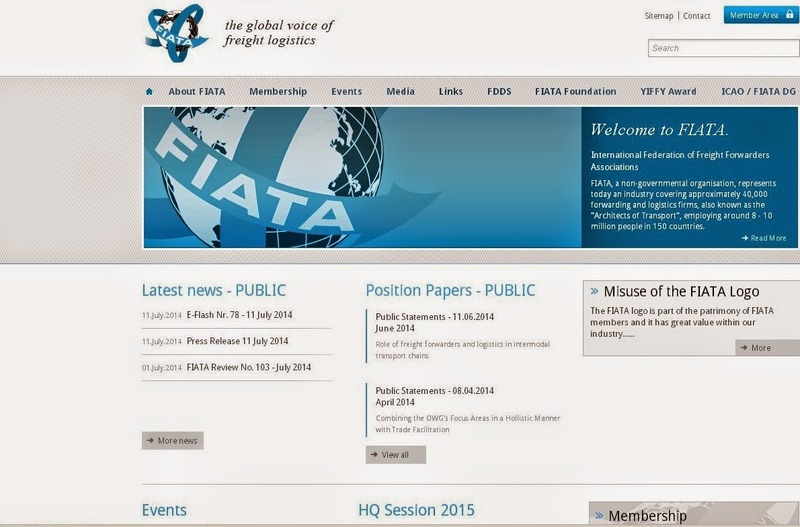 International Federation of Freight Forwarders Associations (FIATA) is a non-governmental organization that represents freight forwarders in a global scale. They have 40.000 individual freight forwarder members. They have also one or more association members in each country, which makes their website invaluable when looking for a reliable freight forwarder. Etiketler: China, How to find a Chinese freight forwarder?, How to find a freight forwarder? How to find a freight forwarder in Algeria? How to find a reliable local freight forwarder?